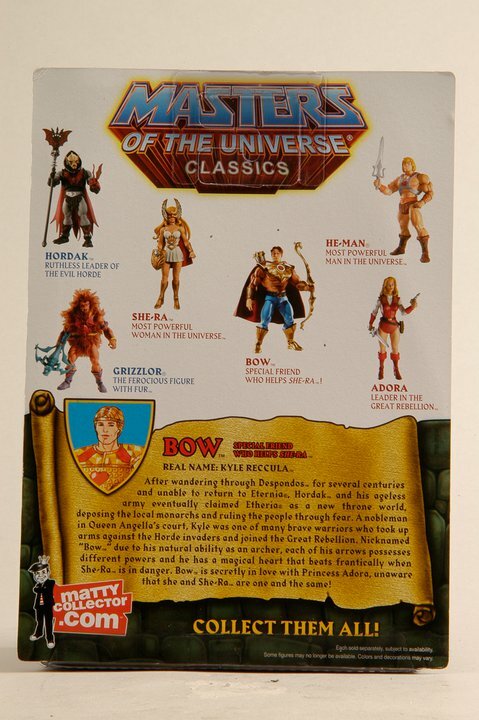 MattyCollector has posted new in-package sample photos of upcoming Masters of the Universe Classics figures on their Facebook Page. 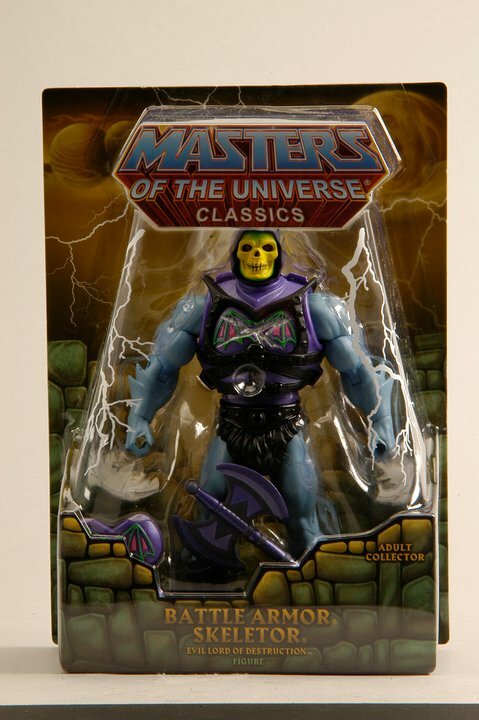 This update includes Bow (from Princess of Power with swappable mustache head), Battle Armor Skeletor and Preternia Disguise He-Man with the Cosmic Key! See all the photos by clicking the headline of the story. I wonder if there will be a variant Bow with his pencil moustache from the show? I hope so or make him come with two heads. 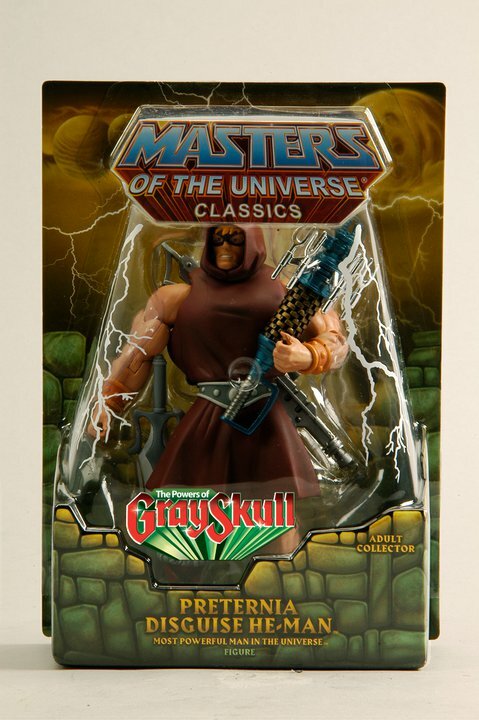 It'd be cool if he also came with Kowl. Oh well. Maybe they'll do a Kowl and Madam Razz two pack down the line. The mustache head is in the package. 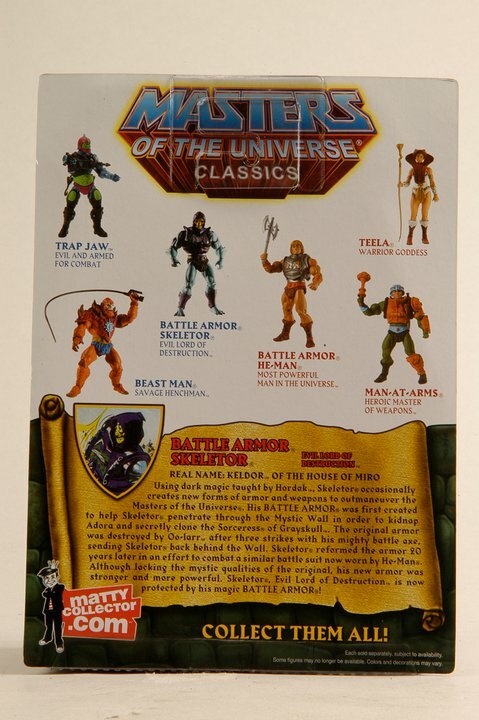 I'll likely get Battle Armor Skeletor since I got BA He-Man, not interested in the others. 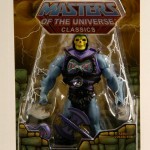 I'll likely get BA Skeletor for the same reason. The other two I'm on the fence about. 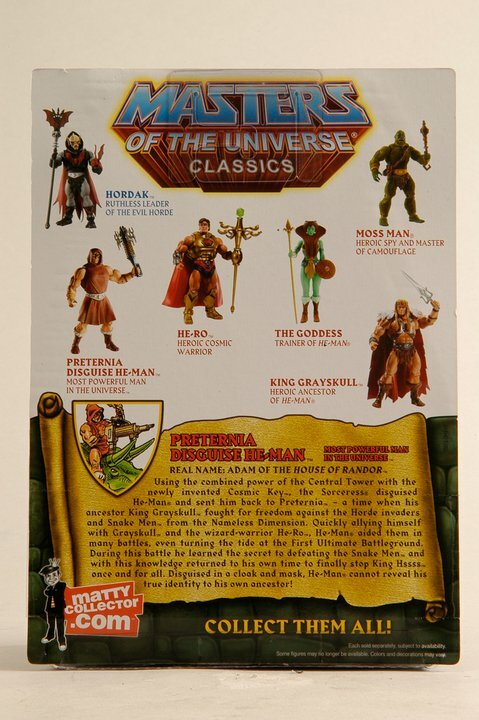 I would buy Preternia He-Man for the Cosmic Key alone. 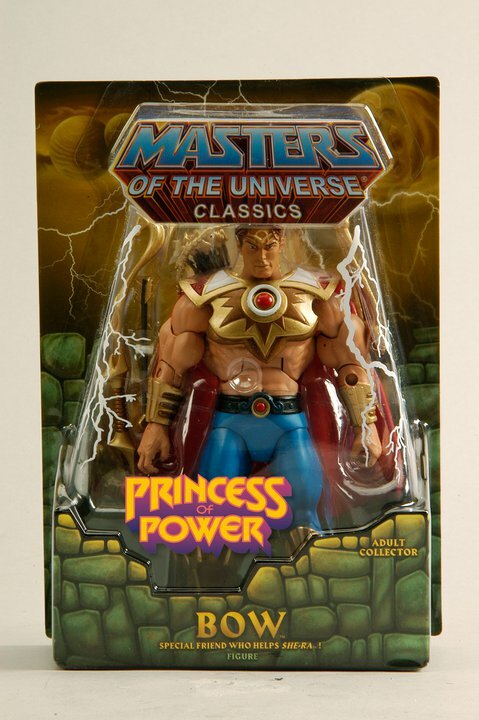 i think preternia he-man is only available to subscription holders. Your eyes must be better than mine. I can't see it in the photo. I must have skimmed over that on the FB page. Added the swappable head info into the news post. Yay for pencil 'stache head! I will be getting all 3. Bow looks waaay better than his original figure!